YOU ARE HERE:Home » Auto Insurance » Is the Ocean Ruining Your Car? Coastal living has many benefits but environmental factors such as saltwater and the sea air can affect the condition of your car. A sea breeze can carry salt up to five miles away from the beach. “If your car comes in contact with saltwater spray on a daily basis, it is important to pay special attention to the body of your vehicle,” says Ellsworth Buck, Vice President of GreatFlorida Insurance, Florida’s leading independent car insurance agency. Rust or oxidation breaks down the metal in your car when exposed to oxygen or water. Salt helps to accelerate this process. A car with rust is unappealing and unsafe and it will undoubtedly depreciate your car’s resale value. The online car buying service CarsDirect, says cars usually have rust protection warranty for up to six years, but after six years is when vehicles begin showing rust. Sun and salt can destroy the finish on your car making it vulnerable to rust. The paint on your car is the first line of defense against rust. Bare metal oxidizes but a painted surface will not. Rust or corrosion initially shows up on your trunk, hood or roof and then moves to the doors. Bubbles, scratching or flaking can be the first signs rust is forming. Small patches or little bubbles that appear on your car’s painted surface are considered cosmetic rust. It can easily be repaired as long as you take care of it because rust will spread throughout your vehicle rapidly. Simple steps can help stave off rust from your vehicle. Experts recommend a weekly car wash and apply a wax coating once a month. Rinse your car, including the under carriage after spending time at the beach. You might consider keeping it covered when not in use. If rust on your vehicle is neglected, more serious problems can develop. The combination of salt and humidity can cause corrosion to brake lines, gas lines as well as nuts and bolts, resulting in expensive repairs and dangerous driving conditions. 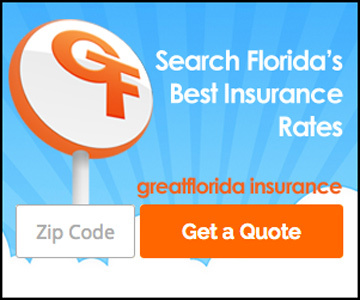 GreatFlorida Insurance has you covered for all your car insurance needs. Call us for a quote today.